The Rise of the Necromancer pack will include several new cosmetics, two additional stash tabs, two additional character slots, and, of course, the Necromancer class itself. This pack will be arriving alongside all the new content in Patch 2.6.0. Stay tuned, Sanctuary. More news is on the horizon! We regularly see amazing fan art in the Diablo community. In order to give those who create these legendary works the attention they deserve, we’re giving them the spotlight in this column. Unbridled strength. Boundless fury. The power to shake the earth itself. These are the ideas that come to mind when you think of the fantasy behind the Barbarian. 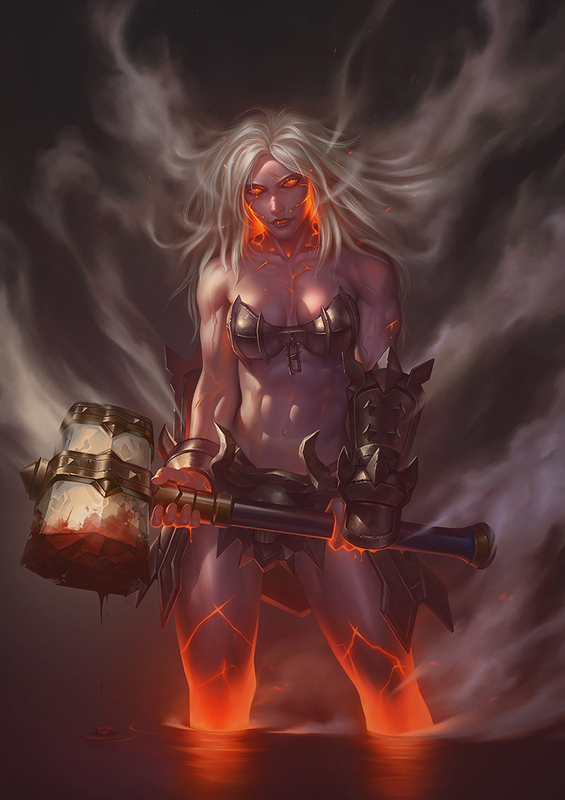 Talented artist goolooO-o neatly captures all these concepts in an intense artistic interpretation of the Wrath of the Berserker and what the class might look like at the height of its power.